Stepping through the TomEE source code is a must-to-follow step if you want to understand how TomEE works and later contribute. 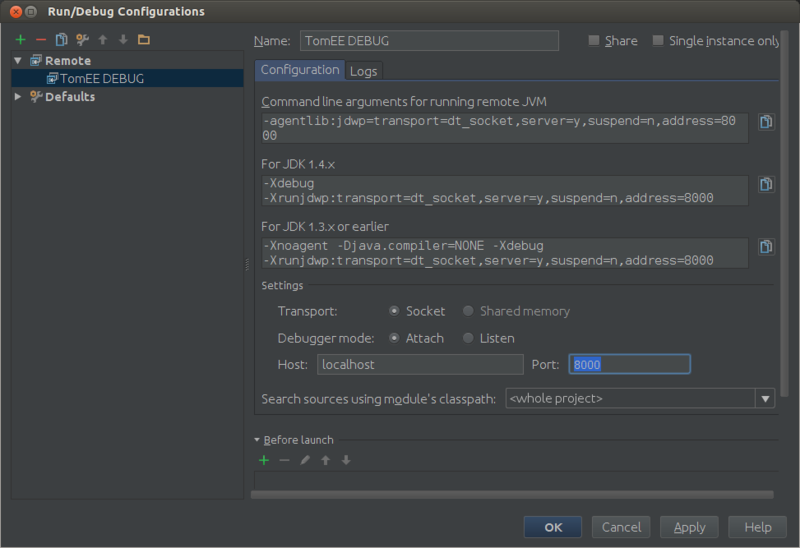 This is a guide to quickly start your debugging session with TomEE as a TomEE developer. For beginners it is recommended not to start with the trunk, because it is common to have some blockers or non-stable functionality which could bring your learning to a halt. So first start with the latest stable released source code. Move to trunk once you are ready to do some code modification on TomEE. 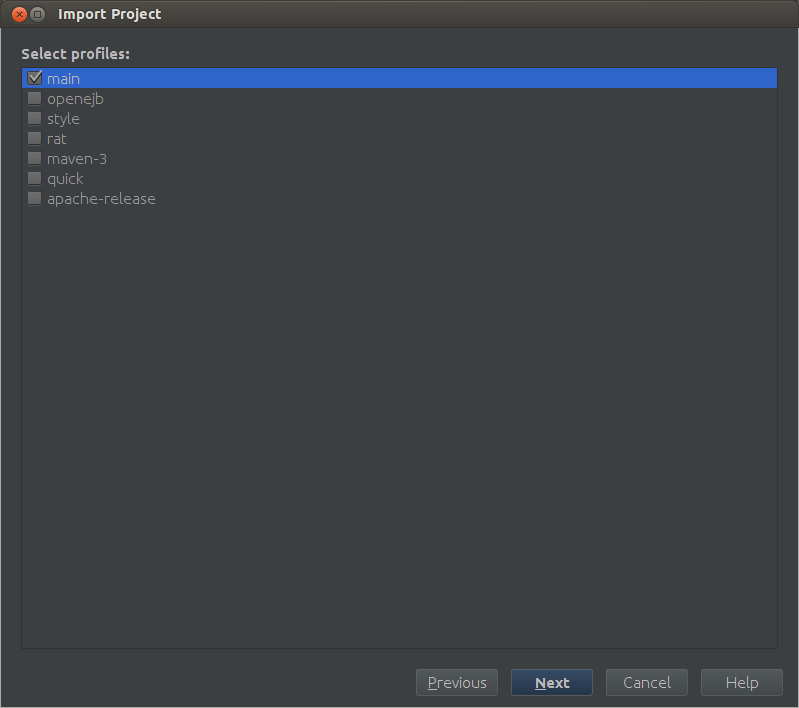 First extract the zip file named openejb-4.7.1-source-release.zip to any location. Lets assume it is your home folder. 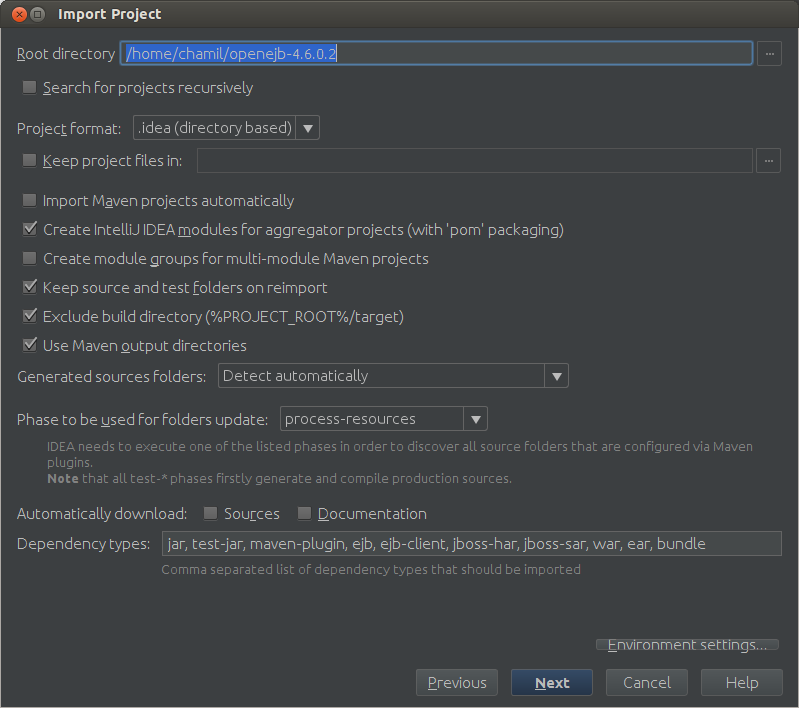 The above command will create the openejb-4.7.1 directory in your home directory. Even though you can do a full build, We will run the following command to do a quick build so that you can have your meal before your hunger kills you. More details about building the product from the source can be found here. The TomEE build builds several distributions (zip & war files) to cater the different needs of different users. Here we discuss about the tomee plus distribution & TomEE war distribution only. TomEE+ is the full feature packed distribution from TomEE. You will find the directory apache-tomee-plus-1.7.1 in your home folder. Lets run the TomEE. "INFO: Server startup in xxxx ms" is the Green light! 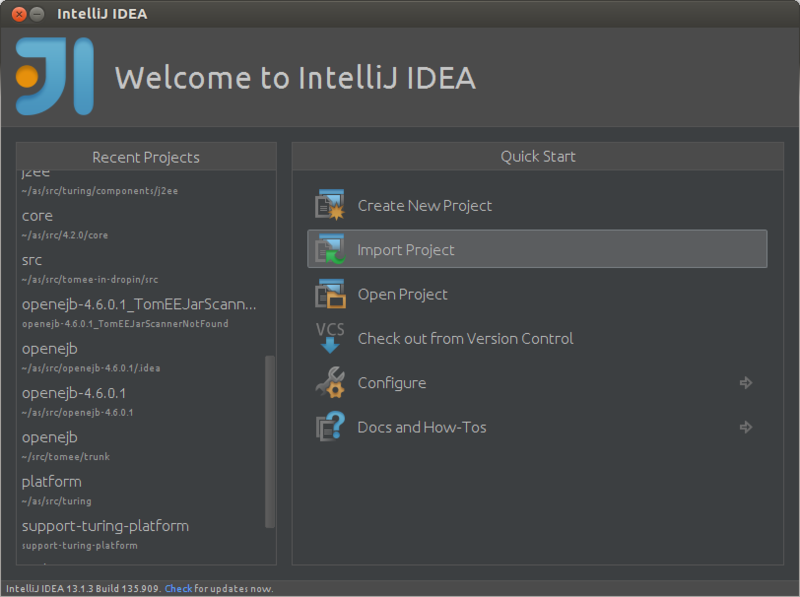 Lets prepare our IntelliJ IDEA for the debugging session. 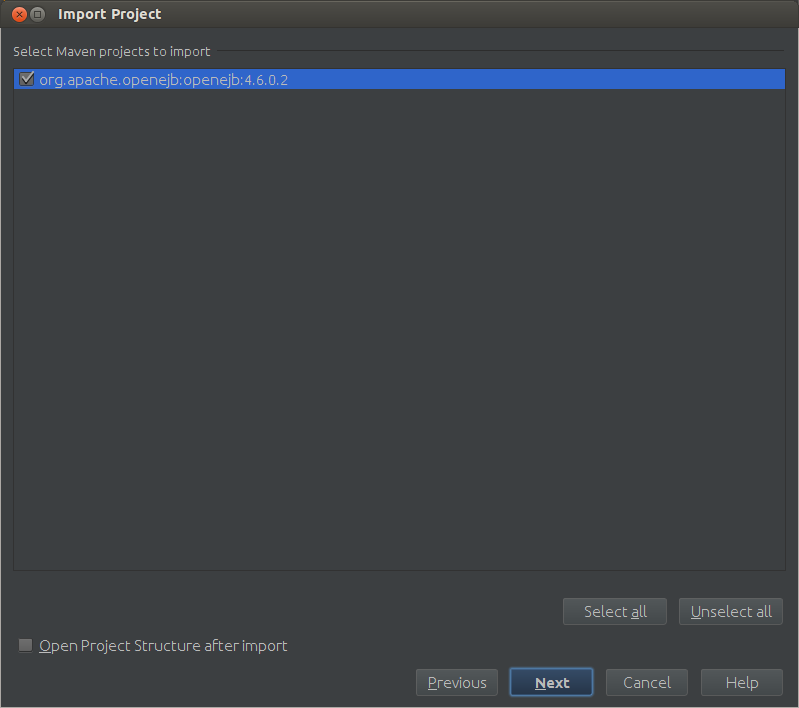 Select import project from external model & Maven as the external model. Press Next on this screen. 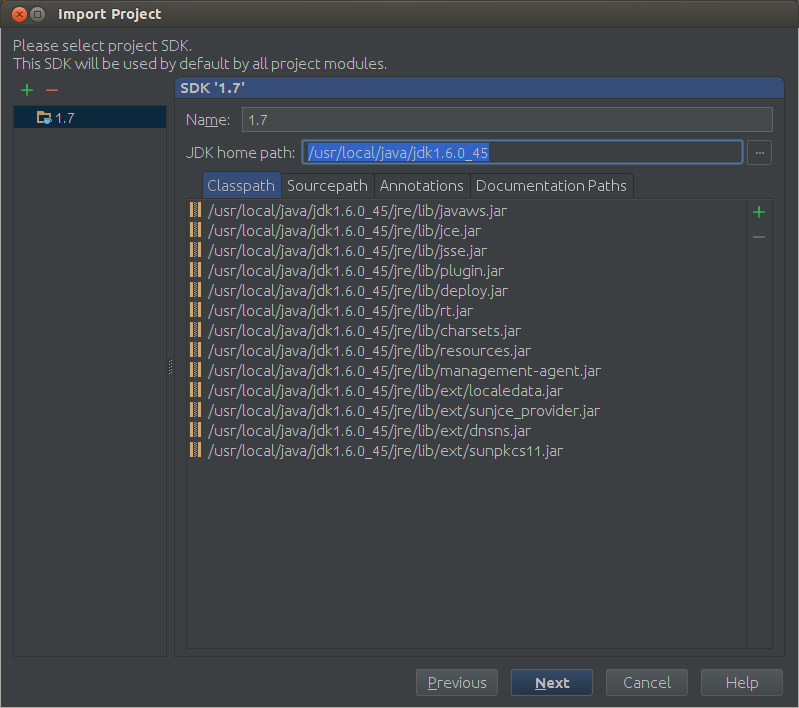 Select the JDK you want to use with. Give the project a name and press Finish. 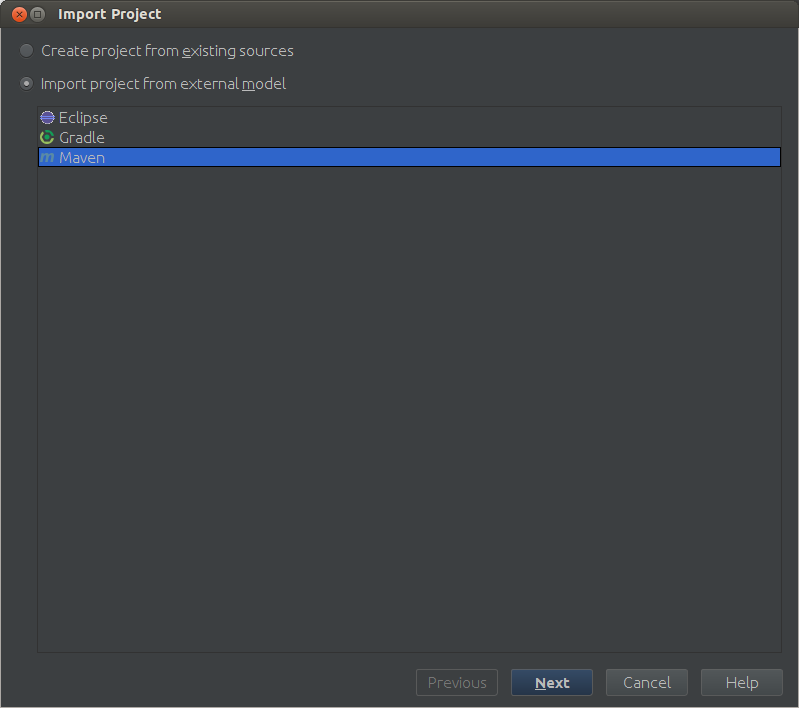 Now your IDE will load the project. Next step is to put a breakpoint at the place where the code is triggered. Lets understand how the code is triggered. TomEE+ is created on top of Tomcat. TomEE registers a Tomcat Lifecycle Listener "org.apache.tomee.catalina.ServerListener" on server.xml file. All the Tomcat lifecycle events i.e. before_init, after_init, start, before_stop etc... are received by the lifecycleEvent method of the ServerListener. The execution of TomEE code starts in this lifecycleEvent method. So the first breakpoint should be on the lifecycleEvent method. If you simply run catalina.sh jpda run in the bin folder of tomee deployment, the server starts in the debug mode but it will quckly pass your breakpoint before you attach your IDE to the server process. 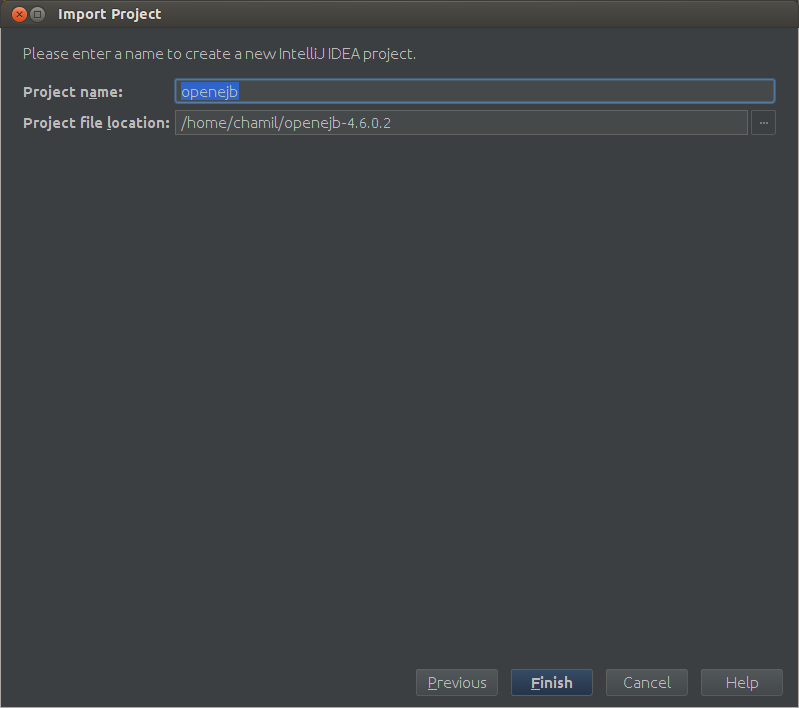 So we set** JPDA_SUSPEND="y"** before we start our debugging. This will tell the server "Do not proceed until the Debugger tool is attached to the process"
The convenient way of doing this is adding this line to catalina.sh file right after the #!/bin/sh line. Now to time to run TomEE+ on debug mode. The terminal should hang with the message "Listening for transport dt_socket at address: 8000"
Congratulations! You hit the break point you put at the startup of the TomEE code. Carry on with your debugging session to learn more.